Fuel Management System TX | Fuel Management | Fleet Fuel Management - Reeder Distributors, Inc.
What is Fuel Management and why is it Important? Fuel management can save you money on your bottom line by preventing theft, and tracking how much fuel your drivers are using. 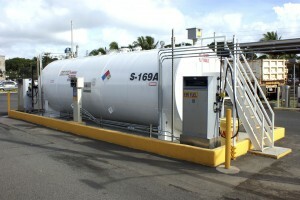 Reeder Distributors carries and installs a verity of brands when it comes to fuel management. Call one of our industry pros today. FUELMASTER® accessories are your solution. Always on the cutting edge of technology, FUELMASTER® has the most dependable and easy to use systems for fleet applications in the business. Whether you choose our easy-to-use AIM2™ Passive Fueling System or our time-tested FUELMASTER® system, we can meet your needs and stand up under all conditions. FLOWrangler products manage the pumps. Designed to keep you in control at all times, our applications work for any size operation in any industry. Easy to use, so your staff will have no trouble going “live” with our fast fuel management system! Reeder offers the option to Monitor your Fuel Inventory for you. We can set up automated deliveries, unauthorized usage alerts, delivery alerts, and much more to assure your fuel is in the right place at the right time. Our monitors have proven to hold up in the most harsh conditions, providing long life and exceptional reliability.